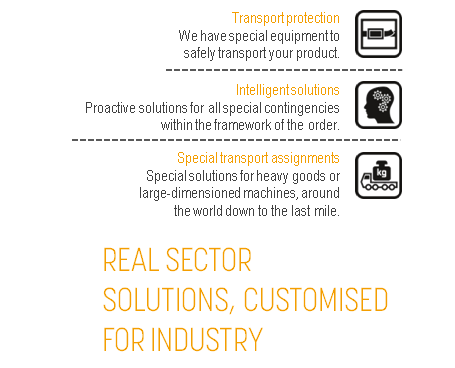 For the industry sector, we provide a large range of scalable transport solutions in the sectors: wood, pulp & paper, steel, agricultural, turbines and heavy machines. In international project business, JCL is your ideal partner for transport, particularly for heavy goods and consignments with an exceptional requirements profile. Our global JCL network is available to you 24 hours a day, 365 days a year. We supply solutions – from microchips to complete industrial systems and complete support from our team on site during the entire process.